When I was 15, I fell in love. Was this because I liked a boy who was obsessed with the Beatles? Possibly. But the boy came and went, and the Beatles stayed. I got to see Sir Paul McCartney in concert a couple of years ago, it was the highlight of my day, week, summer, possibly year. There's just something about Sir Paul. This photo has been making the rounds on Pinterest, and who's surprised? 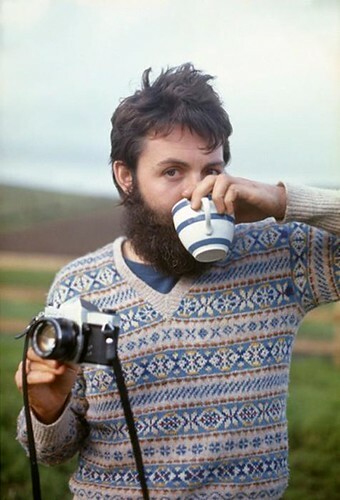 A young, scruffy Sir Paul, rocking a seriously inspiring fair isle sweater--how can you not swoon? I will not rest until I own this sweater.